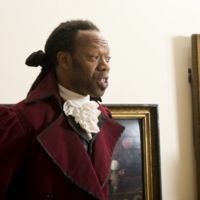 The Diasporian Stories Research Group includes writers, historians, educators and performing artists working to uncover Black history associated with Yorkshire. 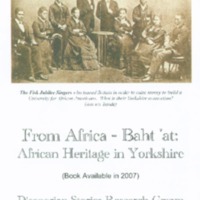 To mark the bicentenary, the group published its first book 'From Africa Baht 'at', exploring links between Yorkshire and the Atlantic trading world. This included influential Black men and women who lived in or visited Yorkshire, and the shipbuilding industry of the Yorkshire coast that supplied ships for slaving voyages. The Fisk Jubilee Singers toured Britain in order to raise money to build a University for African-Americans. One of the singers settled in Yorkshire. 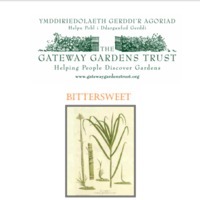 The official publication produced to mark the bicentenary from the Wales Office. 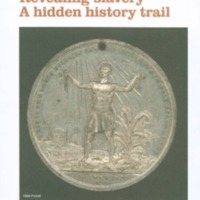 This booklet was produced to mark the bicentenary in 2007 and to highlight the material available in Sheffield Local Studies Library and Sheffield Archives for the study of slavery, the slave trade, abolition movements and emancipation. It looks, in particular, at the role of the city of Sheffield and the surrounding areas, and its local residents. Sheffield benefited from the slave system in that goods manufactured in the city's factories were used on the plantations in the West Indies and America. Sugar and coffee produced on the plantations was consumed by residents. There were active anti-slavery groups in Sheffield, including the Ladies Anti-Slavery Society, and petitioning and boycotts were common. Hannah Kilham, a Sheffield Quaker, published a memoir of her experiences in West Africa as a teacher in the 1820s and 1830s. 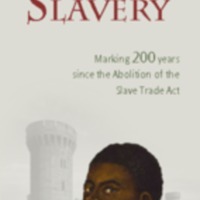 An exhibition at Walsall Museum looked at Walsall's links with the slave trade, the background to the Abolition Act of 1807, and the legacies of slavery. 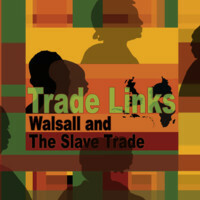 Walsall's metal industry included chain making by local women of Cradley Heath, and the manufacture of guns used to trade for captive Africans. The exhibition was accompanied by a programme of presentations, lectures and workshops, including art sessions with local residents and the artist Pauline Bailey. Part of the wider project featured an online resource 'Abolition WYA' by Walsall Youth Arts, which encouraged young people to explore the topic of slavery and contribute poems, visual arts and music to express their views. Some of the images featured on the site are pictured here. This exhibition explored the links between industry in the West Midlands and the commercial gains of slavery. Wolverhampton's role as a manufacturer of iron was crucial to the economy of slavery, as implements of restraint and punishment were needed to repress those who fought their enslavement. The exhibition emerged from a collaboration between photographer Vanley Burke and blacksmith Lofty Wright. They re-created 40 cast iron instruments used in the slave trade: forked wooden yokes that controlled captives; irons, muzzles and braces that were used to constrain and as punishment. Each of the metal items was symbolically coated in sugar. A bicentenary brochure detailing some of the arts and non-arts activities held in Derby throughout 2007 to mark the bicentenary involving schools, community groups and other organisations. 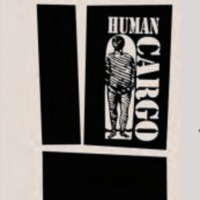 These included performances from the University of Derby's Student's Union, a debate at Derby City Council House, and a presentation of archive material from BBC Radio Derby's African Caribbean Show. The Freedom Showcase featured nine performers and writers from Leicester, Nottingham and Derby sharing their personal visions of 'Freedom' through a variety of spoken styles, from poetry, to rap and monologues. 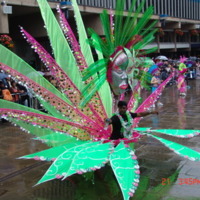 The costumes on display at Derby's Caribbean Carnival in July 2007 depicted positive images of the enslaved surviving and resisting slavery. Derby West Indian Community Association led a performance of dance and drama to depict slavery and its impact on young people, and a school project around the theme of slavery. 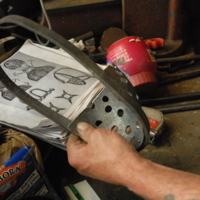 Creative Thought was part of a Renaissance East Midlands funded Community Learning initiative. Working with an artist, participants explored the concept of slavery and its links to Derby's industrial heritage using The Silk Mill as inspiration. Tactile objects were created to share understanding about links with slavery. As part of the Revealing Histories: Remembering Slavery project, Manchester Art Gallery highlighted items in its collection of fine art and decorative objects which revealed the wealth generated by the region's involvement in the transatlantic slave trade and the public's consumption of sugar, tea, coffee and tobacco. Additional special events included Tina Tamsho-Thomas performing poetry commissioned in response to the objects connected to sugar. In the exhibition 'Manchester Attitude', local community groups created a new display to express their thoughts about the legacy of Manchester's involvement in the transatlantic slave trade. 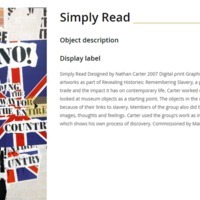 Examples of these community-led artworks include 'Injustice' (with artists Colette Gilmartin and Tony Curry) and 'Simply Read' (with artist Nathan Carter), available to view on Manchester Art Gallery's website. Bury Archives and Museum collaborated on an exhibition based on the journals, letters and other papers of John Hutchinson. The Hutchinson family's cotton spinning business had links to slavery in the United States: in 1848, John Hutchinson travelled to America to buy cotton produced by slaves. The exhibition at Bury Art Gallery featured archives, museum objects and paintings that put the papers into a social context. Cotton Threads went on tour to branch libraries, where talks and family workshops explored family histories and the cotton business. Volunteers assisted in conserving, cataloguing and digitising the Hutchinson papers, which were made available online. 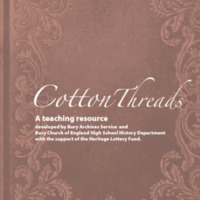 Primary school pupils took part in workshops held in the exhibition and a resource pack for secondary schools was produced with local teachers (available to download from the Cotton Threads website). 'Three Continents, One History' was a community project led by the African-Caribbean Millennium Centre (ACMC) to explore the historical links between Birmingham, the transatlantic slave trade and the Caribbean. 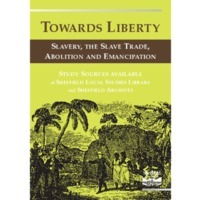 Research focused on themes such as the region's manufacturing history and its links to slavery, the role of local regiments in keeping order on Caribbean plantations, the African presence in the West Midlands, and the region’s role in the abolitionist movement. 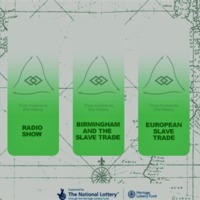 The project aimed to examine the contemporary relevance of 1807 and the slave trade to Birmingham’s diverse communities, to contribute to a reshaping of the National Curriculum, to establish a physical archive and an interactive website. The research was shared with the public via weekly broadcasts on New Style Radio (a community radio station housed in ACMC) and simulcasts with Caribbean and African radio stations. Other events included conferences, dramatisations and discussion workshops. This exhibition held by the Cadbury Research Library: Special Collections at the University of Birmingham included material from the archives of the Church Missionary Society held there, and some of its rare book collections. The accompanying information boards are featured here. The exhibition focused on the role of religion in the abolitionist movement, the power of the African voice in literature, and the role played by Birmingham residents in the anti-slavery campaigns. 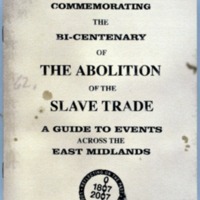 A booklist on anti-slavery publications held at the library was also produced. The exhibition was part of a University-wide initiative, with additional involvement from academic departments and the Guild of Students. An online exhibition was also produced in collaboration with the Library of the Religious Society of Friends: 'Quakers and the path to abolition in Britain and the colonies'. 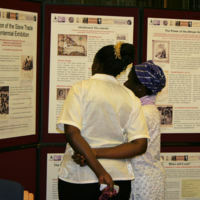 Bolton Museum and Archives was one of eight heritage bodies in the 'Revealing Histories: Remembering Slavery’ partnership in Greater Manchester. The project set out to explore the history, impact and legacy of slavery on Britain through collections and community links in the North West. Bolton Museum and Archive Service launched a trail around its galleries to re-interpret objects on display in the context of slavery and its legacies. At the centre of the trail was Samuel Crompton's spinning mule, a machine which helped to revolutionize the British cotton industry. As part of the project, Bolton Council republished and distributed 'The Narrative of the Life of James Watkins', originally published in 1852. 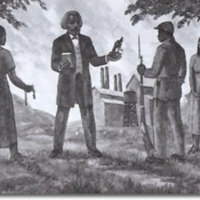 Watkins escaped slavery in the southern United States and travelled to Lancashire to become an anti-slavery campaigner. The museum also hosted African folk storytelling sessions, and produced a Key Stage 3 education pack, 'Chains and Cotton: Bolton’s Perspective on the Slave Trade'. A special event day, 'Facing up to the past' featured performances, poetry reading and debate. 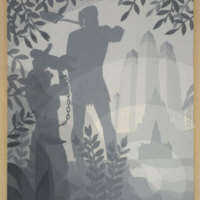 In 1933, Aaron Douglas created a mural titled The Founding of Chicago. The mural depicts the role of slaves and free African Americans in the creation of American cities across the country. Standing in the centre of the mural, the Haitian founder of Chicago, Jean-Baptiste Pointe du Sable, surveys the urban environment he helped to construct. Behind du Sable, a shackled woman raises her child to view the towering metropolis. Today the mural is housed at the Spencer Museum of Art, at the University of Kansas. In 1938, Aaron Douglas returned to Fisk University as an assistant professor of Art Education, and it was during his summer there that he, under the aegis of the Treasury Department’s Treasury Relief Arts Projects, created the mural Education of the Colored Man, for the Atlantic City Holmes Village Housing Project in New Jersey. The mural depicts a young Frederick Douglass standing before a small crowd—a civil war solider, a former slave, a sharecropper and a seamstress—who listen to his words. Behind them is a growing metropolis, representing the industrial expansion of the urban north. The art project was funded by the Treasury Relief Arts Project (TRAP) and the Works Progress Administration (WPA).